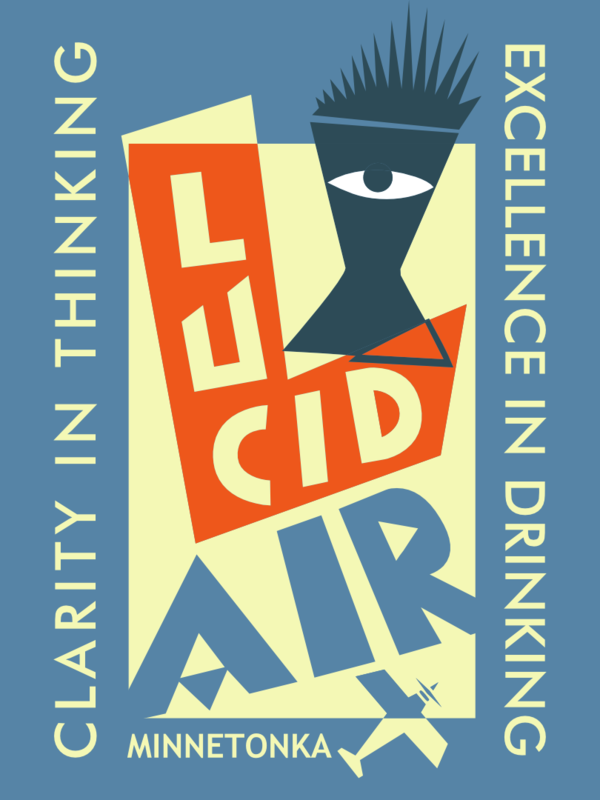 Description: Lucid AIR is the lightest beer produced by Lucid Brewing. A blend of the palest malted barley and wheat combined with a mix of American hops give this beer a sweet citrus aroma with hints of key-limes. The smooth light body is effervescent and finishes clean and crisp. Filtered to perfection, this beer is great for the boat, sitting around the campfire, and everyday enjoyment. Food Pairings: The subtle sweetness in the aroma and flavor will not overpower your meal. This beer is very refreshing and should likewise, be paired with lighter dishes. Of course it works well with pizza and hot dogs, but try with fish, poultry, pastas and other lightly flavored entrees. 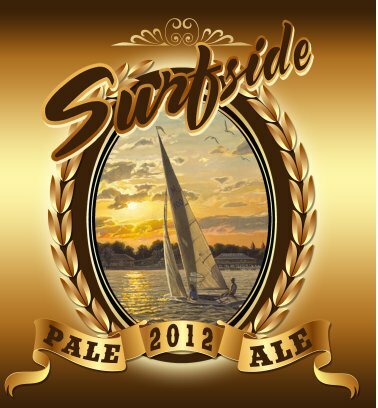 Description: Our version of a Double Pale Ale is as drinkable as beers with half its alcohol prowess. Be careful because at 9% alcohol, this beer will sneak up on you fast! 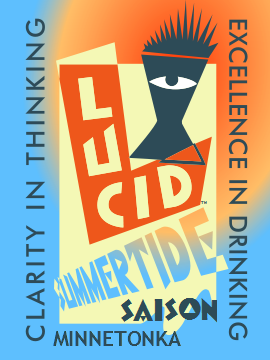 Lucid CAMMO uses a combination of the citrus, floral, and pine characteristic from Cascade, Amarillo, Summit, and Centennial hops give this beer a floral hop nose and significant hop flavor. We kept this one as pale as possible and let the hops carry the weight without losing balance. This beer finishes dry and clean creating a refreshing, and very drinkable beer. Food Pairings: The intense citrus hop flavor goes great with smoked meats, and spicy dishes. Pair with a strong blue and cheddar cheeses for appetizers or desserts. Description: A crisp citrus aroma and flavor come from late additions of hops taken from the Pacific Northwest. The unique blend of hops lend to aromas of tangerine, pine, and fresh cut flowers. Late hop additions allows us to present a significant aroma and floavor with only a moderate bitterness. Food Pairings: The citrus hop aroma and moderate bitterness allow this beer to pair well with most dishes. Great with grilled meat and fresh salads, this beer completes the deck grill-out. Description: This Belgian Saison was brewed in collaboration with KARE 11 news. The yeast used in this beer create a combination of peppery and citrus aromas and flavors. “Saison” means season which is appropriate for the light body and effervescent carbonation in this refreshing brew. Food Pairings: The fruity and spicy notes are great with smoky BBQ. The spicy and peppery notes will really enhance the flavors of any hot or peppery dish. The complex flavors can overpower lighter fare, but this should not keep you from trying with fish. Description: Named after the park in Mound, MN, this Centennial hopped Pale Ale is a special brew commemorating Mounds Centenial and the Spirit of the Lakes Festival. Had a Summertide at Anchor’s Fish and Chips in Northeast mpls. The notes of banana, bubblegum and cloves took me back. I truly enjoyed it! can I purchase your beer in Northern California? Today the answer is no. But we are working on it. Just found you guys, I’m assuming I can get your brews at the Minnetonka liquor stores? Did you ever come up with a Saison name? I’m the Web Manager for the Wine Shop in Minnetonka and a beer/homebrew enthusiast. 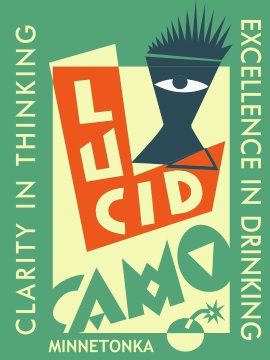 We carry Lucid Camo (9%ABV) for $6.99 per 22 oz bottle. It’s an excellent drink for hops lovers and perfect for sunny summer days. 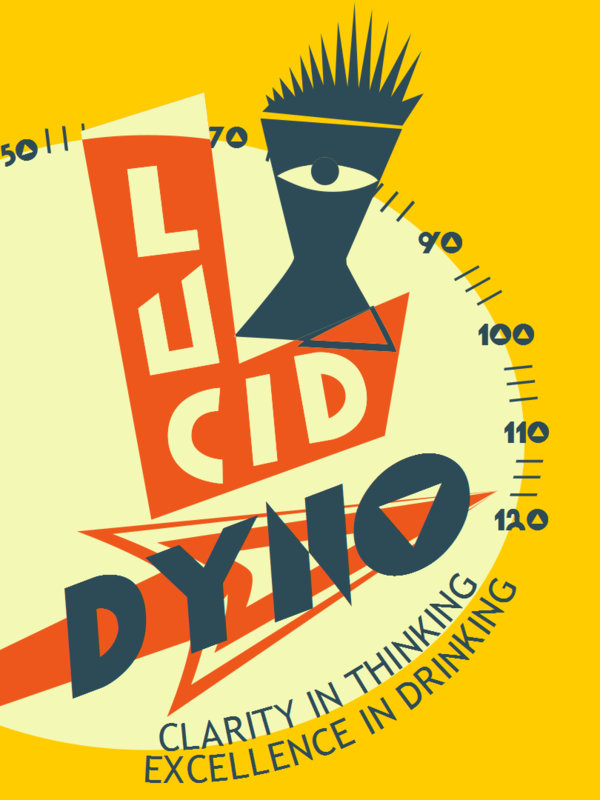 Regardless of where you pick up some of Lucid’s brews, definitely check them out. They are one of my favorite new local breweries! Enjoying Dyno at Vic’s. Looking for a description and alcohol content to add it to Rate Beer. A Texan visiting on business, sitting at Sensers enjoying your Camo brew. It is very smooth and easy to drink. It has a wonderful ease to it. Next time I’m in town for a longer period I’d love to visit the brewery. You need to get some distribution to Texas.